UncommonGoods giveaway is almost over! I hope you are subscribed to my YouTube channel so you are seeing my latest uploads and got to catch a review and unboxing of some fantastic products sent to me from the team over at UncommonGoods. 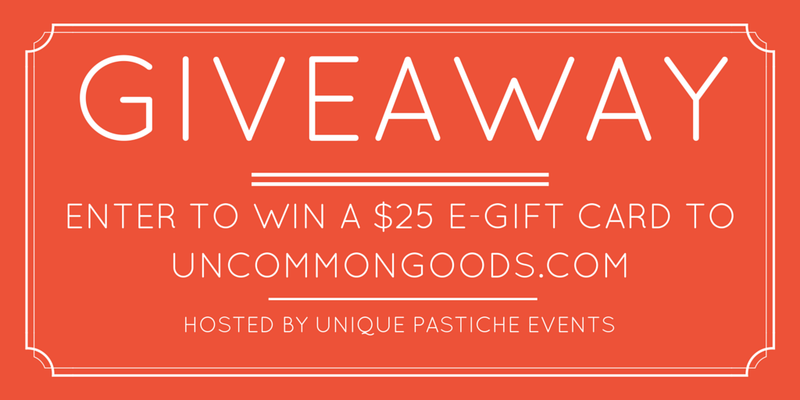 They have been generous to sponsor a $25 giveaway on my other blog, Unique Pastiche Events. The giveaway ends soon! Be sure you enter today!